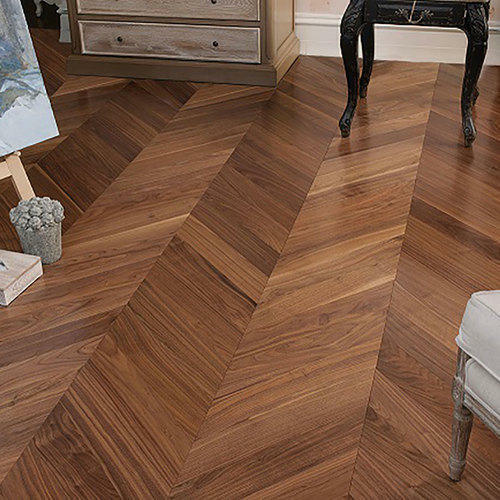 Backed by talented professionals, we are offering American Walnut Chevron Flooring to our customers. This service is completed at reasonable prices. Apart from this, this service is handled by professionals who have excellent skill. Additionally, this service is widely admired in the sports market for its quality work. Since our commencement in the year 1992, We, Kaara, are counted among the trusted firms engaged in wholesaling and trading a quality assured range of Chevron Flooring, Engineered Flooring, Laminated Flooring, Solid Wooden Flooring, Parquet Flooring's, Artificial Grass, Mother Of Pearl Tile, Outdoor Decking, Cladding, Trellis, Pargola, Preserved Trees and Wallpaper. We are a Sole Proprietorship firm based in New Delhi, Delhi. Taking into account the ever changing needs of our clients, We regularly upgrade our products to keep pace with the changing market trends.